Considering Selling Your Gilbert Home: Three Things You Should Know Before You Decide To List Your Home. Sometimes the hardest part of selling a Gilbert Arizona home is making the decision to sell it. Our homes in Gilbert give us roots, provide sanctuary, house memories and, hopefully, give us some financial security. It's a big and emotional decision to sell a home. One of the most challenging aspects of selling a home in Gilbert Arizona is determining the proper list price. Many homeowners will go online to find homes nearby that are for sale and base their price assumption on those that are most similar. Think back to when you were house hunting. Were there houses that you arrived at that you just couldn't bear to get out of the car to look at? Chipped or peeling paint, sagging window and door screens, and overgrown or dead landscaping do not make a good first impression, especially on homes in Gilbert. Don't neglect the interior either. If you don't know where to start, take a look at some websites with ideas on how to declutter and stage the home. Phoenix Arizona- HGTV is a fun escape for many of us and a glimpse into the world of all things real estate and DIY. Even though I can work up to 60 hours a week as a Phoenix AZ Real Estate Professional, I still find myself and indulging in an episode of House Hunters, Property Brothers, and Flip or Flop, from time to time. However, being in the business allows me to take each program with a grain of salt. For example, in real life it often takes more than 3 homes for a client to make a decision with several contingencies involved (home inspection, appraisal, securing financing, etc), it costs more than $8,000 for a kitchen renovation, and there isn't always a hefty profit on a flipped property. When consumers watch these programs and they have no education in the subject at hand, an illness sets in. It is something I call HGTV Syndrome! *Do you feel as though black and white appliances are old, even if they are BRAND new? *Is "Formica" a word that makes your stomach churn? *Do you believe everything should be perfect when purchasing a resale home? *Is your budget for a full kitchen renovation (demolition, new cabinets, travertine flooring, appliances, backsplash, lighting, and accessories) $10,000? *Do you think flipping a house for profit is easy without many pitfalls? If you have answered YES to any one of these questions, you need to seek immediate help from a skilled Phoenix AZ real estate agent! Who is at Risk for HGTV Syndrome? So, who is susceptible to HGTV Syndrome? First time home buyers, those who have not purchased a home since the inception of HGTV, DIY'ers , doctors, firefighters, lawyers, teachers, financial experts, and, yes, even real estate agents can come down with a case of HGTV Syndrome. Case in point: I recently had an offer on a listing where the buyer came in almost $35,000 off of the asking price. Their agent "justified" the LOW offer by saying, "my clients are estimating $40K in upgrades such as removing the popcorn ceiling, upgrading the HVAC, painting the entire inside, replacing the roof, and upgrading the appliances." My clients thanked them for the offer and declined. My response was that their justification was based on cosmetic/personal preferences and speculation of defects to which there is no knowledge. To date the appliances, although cream, work great, the paint is not bright red but a nice neutral color, and there are no known defects to the HVAC or roof. In my professional opinion, the buyer and the agent have a case of HGTV Syndrome! What is the Cure for HGTV Syndrome? How can you be sure you don't come down with a case of HGTV Syndrome? Take a preventative, healthy dose of reality by speaking with a real estate professional who is armed with the knowledge and perspective to ward off any hint of unrealistic expectations. A skilled Realtor will take the pulse on the features or attributes of homes in each neighborhood and will give you a detailed assessment on what to expect in a certain community. In some subdivisions it may be the norm to have granite countertops thus if the home you are considering does not, then your expectation is warranted. In other areas, it may be that popcorn ceilings and older appliances are the norm and to expect a seller to drop their price so you can upgrade to your own personal taste is not considered reasonable. Phoenix AZ Realtor Searching for a home for sale in the Phoenix AZ real estate market and need a real estate agent who will give you a baseline/report on the health of the market? Then contact Bradley Potter, your Phoenix AZ Realtor at the Bradley Potter Home Team with Homesmart, today! Find out here - What's My Phoenix AZ Home Worth? Here you will find access to the latest listings in the Seville area for under $300,000 dollars. These 4 bedrooms homes sell very quickly in the 85298 zip code. We have got the quickest and most up to date access to all these high demand homes in the Seville area. The best homes sell 1st so we know it is important to have accurate and instant information on homes. Seville is a very family oriented community, with award winning schools, San Tan Mountain recreational area for hiking and mountain biking, clean parks, Seville Golf & Country Club and San Tan out Door Mall for shopping. People want to live here so they can be a part of all these amazing attractions. The San Tan entertainment district down on Market St provides a Harkins theater, restaurants and shopping for everyone to enjoy. Seville is located in the beautiful city of Gilbert Arizona, which was recently voted as one of the top 5 safest cities in America. Seville is 10 minutes away from the San Tan Mall, San Tan Freeway, Gilbert Mercy Hospital, The San Tan Village with shopping dining and entertainment. Seville Currently has 2,829 Single family homes in the subdivision. 1,830 of the homes are single story properties and 999 homes are 2 stories or more. As of August 2014 the Average Listing Price on a single family home for sale in Seville is $380,000 and the average size is approximately 2,908 sq feet. The current active listings are sitting on the market for approximately 80 days and listed at $130 a sq foot. There have been 188 homes sold over the past 12 months. The average list price of the homes that sold was $332,473. The average sales price was $324,041, meaning homes are selling for 97.5% of what they are listed for. The average size for homes that have sold is 2,418. They are selling for $134 a sq foot and are on the market for approximately 72 days on average. The Seville Country Club is top notch. It has 3 swimming pools, water slides, sand volleyball, tennis courts, basketball courts, a fitness center, day care, club house and immaculate championship 18 hole golf course complimented by the view of the San Tan Mountains. The membership dues are separate from the community as it is a private club located in the heart of Seville. Dues Range from $200 - $800 a month depending on whether you have the pool and golf memberships. Encanterra is located in San Tan Valley, which is a few miles east of Queen Creek in the South East Valley. The community is about 25 minutes to the San Tan 202 Freeway, San Tan Mall, Gilbert Mercy Hospital and San Tan Village with Shopping, dining and entertainment. The Encanterra community is still building a lot of new homes. Currently there are only 462 homes in the community per Pinal County tax records. The community primarily a single story home provider. There are 443 single story homes and only 19 multi level homes. As of August 2014 the Average Listing Price for resale on a single family home in Encanterra is $375,000 and the average size is approximately 2,235 sq feet. The current active listings are sitting on the market for approximately 318 days and listed at $168 a sq foot. There have been 42 homes sold over the past 12 months in the resale market. The average list price of the homes that sold was $344,779. The average sales price was $332,858, meaning homes are selling for 96.5% of what they are listed for. The average size for homes that have sold is 1,913. They are selling for $173 a sq foot and are on the market for approximately 290 days on average. Find similar Homes For Sale in Seville Neighborhood in Gilbert AZ. Friendly South Gilbert neighborhood! Starter and Luxury homes with beautiful San Tan mountain views in a super location. Seville is an upscale neighborhood of modern single family Starter and Luxury homes that hosts the Seville Golf and Country Club. The community sits conveniently located just 10 miles outside of Downtown Gilbert. It's far enough from the main hustle and bustle of the city that residents don't feel like the urban center of Gilbert is knocking on their door. Looking for a home in Seville? Interested in finding homes for sale in the Seville Neighborhood of Gilbert AZ? Click that link to find all the currently available homes in this area of Gilbert. The homes you would expect to find for sale in the Seville Neighborhood are generally going to range between 1,200 and 2,500 square feet for starter & move up homes. The Luxury Homes in the community are typically 3,500 to 6,000. The largest home in this neighborhood is over 9,500 square feet. Most of the homes were originally built back in the late 2000's. The last set of homes in this subdivision were built in 2013-2014. It's not uncommon to find homes that have extensive finished basements adding to the square footage of some of these great homes. The smallest homes in the neighborhood start with 3 bedrooms while the larger floor plans have a four or five bedroom layout with some models putting the master bedroom on the main floor. Each home has an attached two to four car garage. Most of the lots are large so there is plenty of room for people to get out and enjoy the beautiful Arizona weather. What's Going on Nearby the Seville Neighborhood? Seville is located in the south east area of the city. Parks, trails, and shopping are all within a few miles. 4.5 miles from San Tan Village and San Tan Mall, 8 miles to Arizona State University East Campus, Gilbert Mercy Hospital and the Church of Jesus Christ of Latter Day Saints Gilbert Temple is only 10 minutes away, 10 Miles from downtown Gilbert and 8 miles to Williams Gateway Gilbert Airport. Find out about everything that is nearby to Seville including places of worship, banking, shopping, Attractions and recreation and much more on my website. If you buy a home for sale in the Seville Neighborhood of Gilbert, AZ, the local schools serving this area are Rigss Elementary School, Willie & Coy & Payne Junior Highs, and Basha High School To get local school scores and more information about these schools check out the Gilbert school reports on my website. If you are interested in the current homes for sale in Seville Neighborhood of Gilbert AZ click on the link. Our 'for sale' property information is a direct feed from the Arizona MLS and is updated multiple times per day. 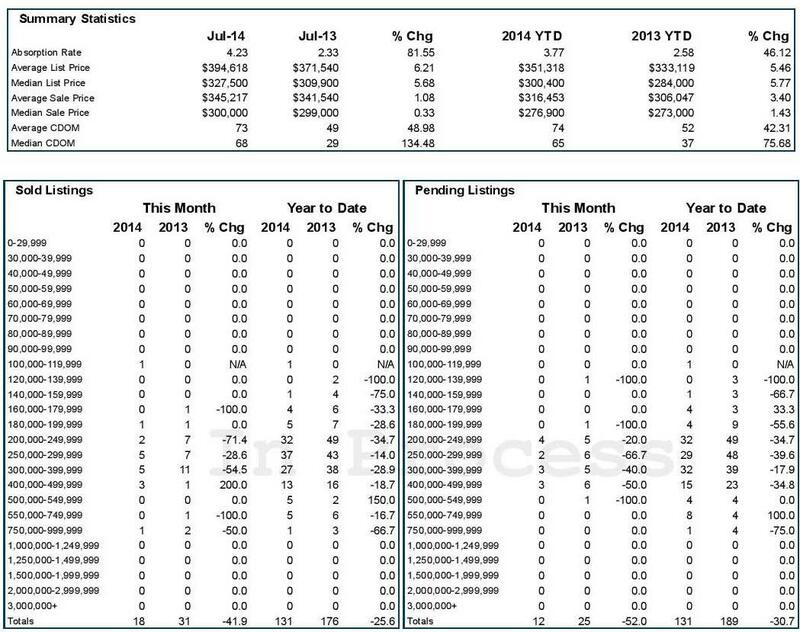 You can see the number of homes sold and the sales price comparison for 2013 vs 2014. The Bradley Potter,PLLC Home Selling Team for Gilbert has partnered with Dewy Devitt . Together we help our clients to achieve the dream of home ownership. Over the years we have assisted many Arizonan families in purchasing homes with little or no down payment. We are very experienced with VA Zero Down Financing, FHA Financing and conventional loans for Arizona family and friends. Fill out this simple form to see what programs you qualify for! While a "pre-qual" is non-binding to the lender (because the information you provide has not been verified), it does serve as a good indication to potential sellers of your general credit worthiness. "I wish I had..." or "I'm so glad I did!"